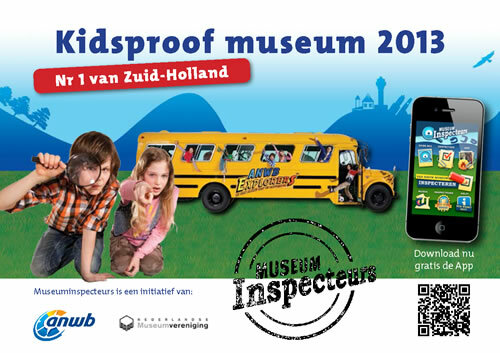 Recently Archeon was awarded as the best kidsproof Museum 2013 of the Province South Holland, and the 3rd best kidsproof museum of the country. The ceremony took place at the Rijksmuseum in Amsterdam. The best museum nationwide in 2013 is the Discovery Center Continium in Kerkrade, according to the jury consisting of children. This museum for science and technique scored 93%. NEMO in Amsterdam scored 92%, Archeon 90%. The jury, called the Museum Inspectors, are a bunch of children inspecting several museums in the country. The group is an initiative by the Dutch National Museum Association and the ANWB.